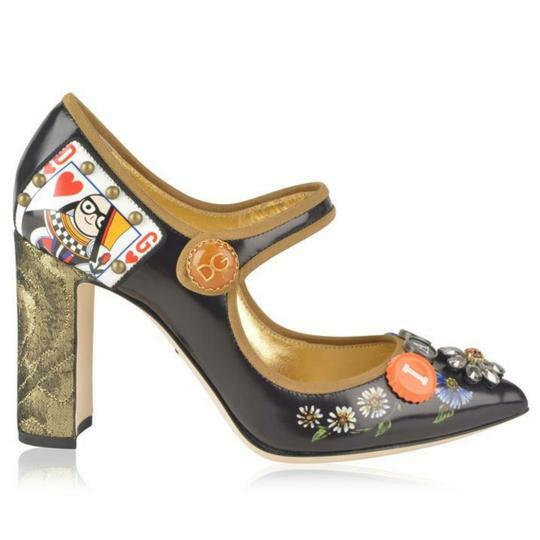 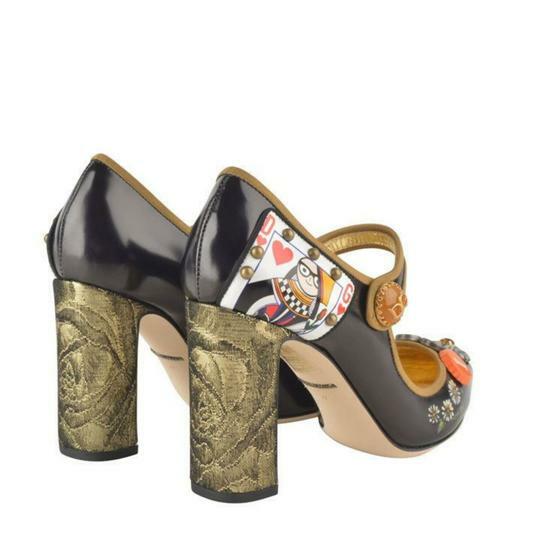 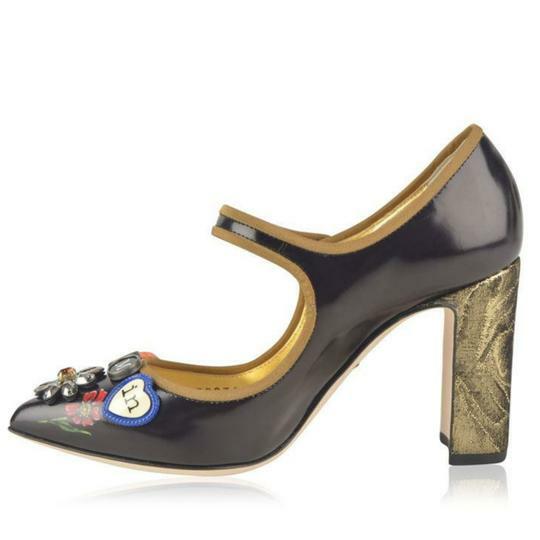 Mary Jane heels from Dolce and Gabbana. Crafted in Italy, this playful design are crafted with a pointed toe, a button strap over and a block heel. 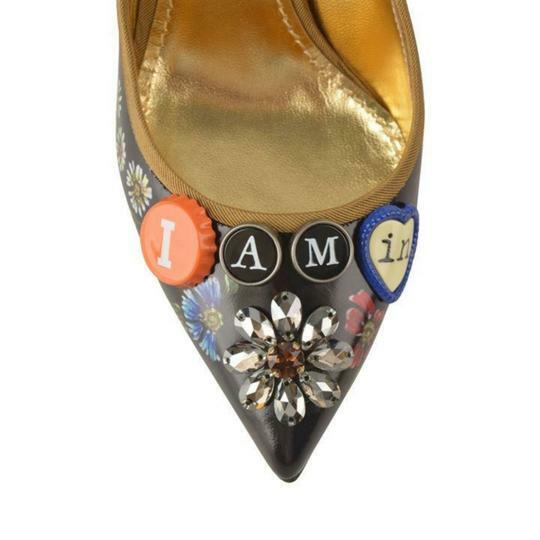 Featuring a contrasting metallic fabric to he heel, this statement pair are finished with quirky embellishments accented all over.